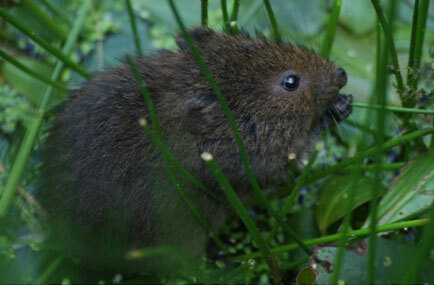 Other English names used are European Water Vole, Water Vole and Eurasian Water Vole. 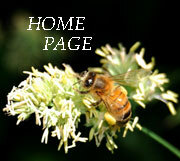 This page only deals with the two forms of Arvicola amphibius / A. terrestris. (Southern water Vole can be found here LINK). The aquatic form of the terrestrial vole is present in France North-East of a line - Dieppe / Reims / Auxerre / Chalon-sur-Saône. 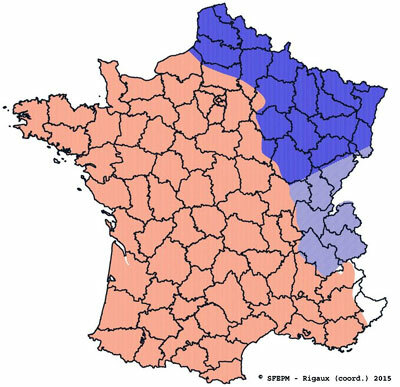 It may also be present East of the line Chalon-sur-Saône / Lyon / Grenoble / Briançon / Nice but this is not yet proven. See Map below. Prime water voles sites are found along densely vegetated banks of slow flowing rivers, ditches, lakes, wet meadows and marshes where water is present throughout the year. Steep riverbanks with lush grass and dense vegetation are preferred for their burrows which can have several entrances with one or more below the water line. They are mainly vegetarian feeding primarily on succulent vegetation, but will also consume some insects, molluscs, and small fish. Reproduction occurs during the warmer months of the year and may begin as early as February in mild years. Gestation period is 21 days. Females produce 2-4 litters per year. Average litter size between 4-6 young. In its terrestrial form it is generally known as Rat taupier or Grand campagnol a term which is frequently misapplied to other voles such as the Bank vole, Field vole, Common vole and Common Pine vole. The terrestrial form occupies zones in the Jura, Massif Central and Pyrenees and is to some extent gaining ground on the plains of Burgundy. It needs to be made clear that it is not present throughout most of France. See Map below. They are a herbivores with a daily consumption that is equivalent to their own weight in roots, preferably fleshy types; dandelions, legumes, bulbs and rhizomes and prefer to occupy fresh, moist soils where they can be found in gardens, orchards, meadows and some cultivated land up to an altitude of 2500 metres. Initially they will frequently colonize the networks that have been made by moles or previous vole colonies. They are constructed with burrows on different levels that can be as shallow as 20 cm below the surface with others deeply dug that descend to between 40 cm and 1 m where the lower levels will contain the nests protecting them from the weather and to some degree predation. A tunnel network can have a total length of 50 or 60 metres. This is a species that can cause serious agricultural damage due to their complex population variations which can suddenly explode from a few individuals to being in excess of a thousand per hectare causing devastation of grasslands or leguminous crops before disappearing again as quickly as they appeared. These cycles which are complex and hard to understand take place approximately every six years and will spread out like ripples or waves from the initiating point. Barren field following severe vole infestation.